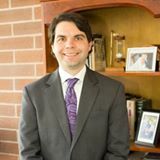 Attorney RJ Harber is a former prosecuting attorney with the Tarrant County District Attorney's Office . At the District Attorney's Office, he gained substantial trial experience and an understanding of how to approach a case from the perspective of a prosecutor. Knowing how to approach a case from both the defense and prosecution side of the table is invaluable in achieving a favorable outcome for any client. RJ Harber will work tirelessly for your rights. He knows the law and will ensure you are protected and fought for by holding the State to the highest of standards. Contact RJ Harber today to make sure you are represented by the best. The Law Office of RJ Harber specializes in DWI and DWI defense and general Criminal Defense. DWI, DUI, 1st Degree Felonies, 2nd Degree Felonies, 3rd Degree Felonies, State Jail Felonies, Class A Misdemeanors, Class B Misdemeanors, Assaults, Marijuana Possession, Possession of Controlled Substances, Drug Cases, Thefts, Warrants, Tickets, Fail to ID, Burglary, and more. RJ Harber has always been a champion of the rights of the people. He chose to practice criminal law to protect citizens from the bureaucracy and heavy hand of the State. In standing up for you, he is standing up for the rights of every accused and holding the State to the highest standard required by law. RJ Harber's years as a Tarrant County Prosecutor and vast trial experience provide him with an insight many defense attorneys do not possess. Having been on both sides of the criminal justice system, RJ Harber knows how to work every angle to make sure you achieve a favorable outcome on your case. RJ Harber will return your calls, will treat your case with individual care, and will care for your needs above all else. Client satisfaction is his firm's number one goal. 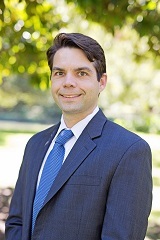 Attorney RJ Harber is a former prosecuting attorney with the Tarrant County District Attorney's Office . At the District Attorney's Office, he gained substantial trial experience and an understanding of how to approach a case from the perspective of a prosecutor. Knowing how to approach a case from both the defense and prosecution side of the table is invaluable in achieving a favourable outcome for any client. RJ Harber will work tirelessly for your rights. He knows the law and will ensure you are protected and fought for by holding the State to the highest of standards. Contact RJ Harber today to make sure you are represented by the best. RJ Harber attended Southern Methodist University where he received his Bachelor's Degree in History and a minor in English. He received his Law Degree from the University of Houston. His practice involves dwi, criminal defense, bail bonds, traffic ticket defense, traffic ticket warrants, and personal injury cases.